We are all familiar with the statistics: 8% of first time directors are women. 5% of films made are by women. That doesn’t sound so bad, however, when we look at those numbers in a different way, we understand what is really being said. Upon graduation from film school 92% of men get to helm a movie, while only 8% of graduating women director’s can say the same thing. When looking at all movies made, generally 95% are directed by men. Of leads in a movie only 13% are women; 87% of all films feature male protagonists. We could fill pages with statistics that show how misrepresented women are in positions of power in the industry. And the numbers get even worse when you look at minorities. We Do It Together is a nonprofit organization that has been created to address some of these inequalities. Their goal is to finance and produce films, documentaries and television that empower women. Their mission is to create content that provides women in entertainment a slate to be recognized by, changing perceptions of female stereotypes in the male-dominated industry. 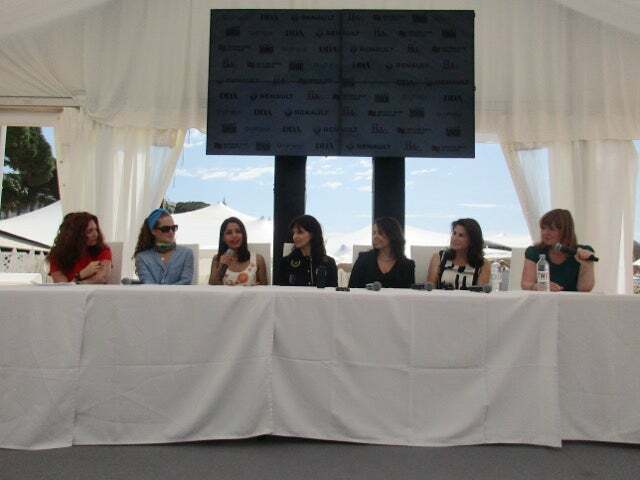 On a perfect morning at the Cannes Film Festival, alongside crashing waves and an endless blue sky, founder Chiara Tilesi, actresses Freida Pinto and Juliette Binoche, and directors Katia Lund and Patricia Riggen joined producer Carol Polakoff to announce the group’s first feature film: Together Now. It will be a compilation of several short films pairing a female director with a prominent actress in the lead role, telling inspiring stories. Golden Globe winner Robin Wright, Catherine Hardwick, Katia Lund, Patricia Riggen, Haifa Al Mansour, Malgorzata Szumowska and Melina Matsoukas are each confirmed to direct a short for Together Now. 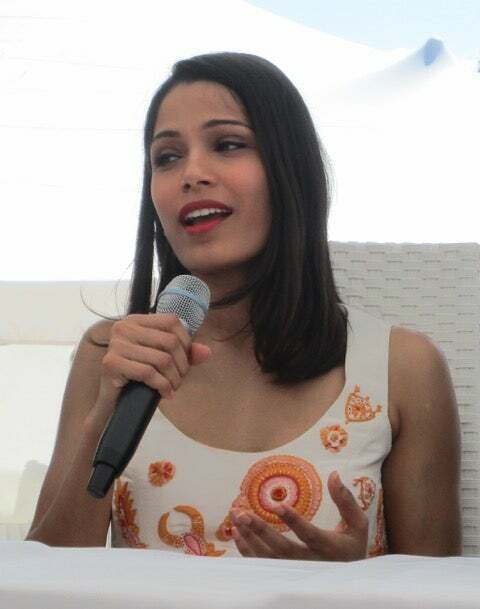 Freida Pinto and Juliette Binoche each star in one of the seven shorts. The producers are Carol Polakoff, Shelby Stone and Chiara Tilesi. Robin Wright and Jodie Foster are just two of the heavyweights that have recently joined the advisory board for We Do It Together. However, this is not a women’s only movement. Pains are taken to pay tribute to the men who are also involved in this effort. Patricia Riggen noted that a new paradigm has to be created of men and women working together toward parity. One filmmaker from Syria pointed out that the challenges to produce product from that country were bigger than most filmmakers and that it was vital to get the stories out. She asked how to be considered for funding by the group. We Do It Together plans to plough any profits back into the company to finance other projects. The nonprofit launches its site –www.wedoittogether.org. -in October. It will be a place where the Syrian filmmaker and many others can submit their projects If guidelines need to be met, the project is assessed and sent to a selection committee to determine funding.